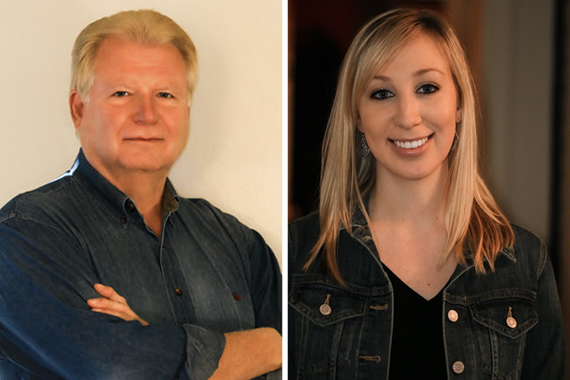 Michael Hollandsworth has been named Vice President/General Manager of Given Music Publishing, and Jenny Hall has been promoted to Creative Director of the company. Hollandsworth has years of publishing experience, having opened and managed the Nashville office of Zomba Music Publishing, where he connected producer Mutt Lange with Shania Twain. The resulting albums during that period, The Woman In Me and Come On Over, went on to sell more than 60 million copies. Most recently, Hollandsworth founded Full Circle Music, a joint venture with Anderson Merchandising. Full Circle claimed seven #1 singles and twelve ASCAP and BMI Awards, as well as cuts by artists including Luke Bryan, Jason Aldean, Kenny Chesney and Tim McGraw, among others. Hollandsworth is a graduate of Middle Tennessee State University’s Recording Industry Program with a minor in Business Administration. “Mike’s history of effective leadership and success, as well as his dedication to fostering the careers of songwriters is well known in this industry. He is an innovative, forward thinker with a winning attitude,” Given Music partner Cindy Owen said. Hall joined Given Music Publishing, which was formed by Owen and business partner Jim Kacmarcik, in May 2016 as Creative Manager. With her new Creative Director title, Hall’s primary responsibilities will include copyright exploitation and writer management. A native of Indiana, she is a graduate of Middle Tennessee State University’s Recording Industry Program with a minor in Marketing.